In some instances, individuals within your company may share the same phone number even if they have individual devices. Typically, if a telephone number is shared a voicemail box is also shared. 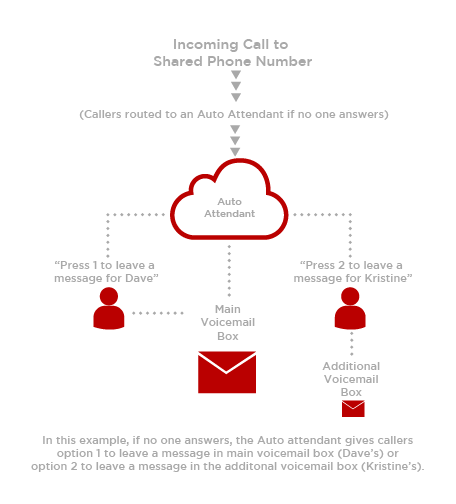 For more information on this topic please see Retrieving Voicemail Messages from a Shared Voicemail Box article. However, there are some instances one telephone number can have more than one voicemail box. How can I retrieve my voicemail if I share my number? A. How can I retrieve my voicemail if I share my number?